Filter by City Addis Ababa Bangkok Casablanca Dhaka Geneva Luxembourg Nairobi New York Phnom Penh Tunis Washington, D.C. The agenda of the meeting will be made available around July 31st 2017. The workshop Country Data: Building better dissemination systems for national development indicators, organized by UNSD, will take place from 21 - 25 April in Phnom Penh, Cambodia. This workshop is the fourth in a series of international workshops planned by the UNSD-DFID Project on “Improving the collation, availability and dissemination of national development indicators, including MDGs”. The series of workshops has served to build capacity around implementing the Statistical Data and Metadata eXchange (SDMX) dissemination model promoted by the project. The fourth workshop will, in particular, look at complex issues and advanced topics in SDMX mapping and exchange. It will also focus on metadata and its use in discrepancy analysis, with a long term view to reducing discrepancies between national and international development data. The training will be led by UNSD and will bring together statistical and IT project focal points from the 11 countries participating in the project. The United Nations Statistics Division (UNSD) together with the United Nations Economic and Social Commission for Western Asia (UN ESCWA) is organizing a Training Workshop on SDMX tools for MDG Data Reporting from 2-5 December 2013 in Casablanca, Morocco. Statistical Data and Metadata eXchange (SDMX) is the preferred standard for allowing National Statistical Offices (NSOs) to automate and standardize exchange of data and metadata associated with the MDGs.The workshop will provide participants with an introduction to SDMX and focus on the process of mapping and exchanging indicators with SDMX through the features added to DevInfo 7 (devinfo.org). This workshop will promote best practice in dissemination of development indicators, including the MDGs through country practice presentations and demonstration of key tools in dissemination, metadata management, exchange (especially through the SDMX standard), communication and promotion of these indicators. This workshop builds on previous workshops conducted in the region and internationally in the area of national development indicators and incorporates the second in a series of four international workshops planned as part of the UNSD-DFID Project on “Improving the collation, availability and dissemination of national development indicators, including MDGs. 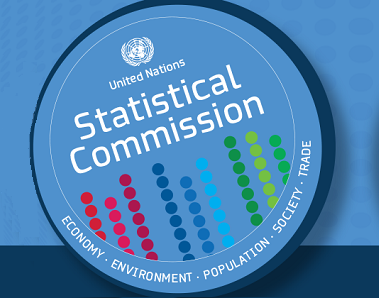 The United Nations Statistics Division (UNSD) is organizing an Expert Group Meeting on Statistical Data and Metadata Exchange (SDMX) for Millennium Development Goals (MDG) Indicators. The meeting will be held in Geneva on 23 October 2009, hosted by the International Labour Organization. The purpose of this Expert Group Meeting is to share experiences on the use of the SDMX standards for the exchange of data and metadata on MDG Indicators. The SDMX is a platform for data and metadata exchange that will greatly facilitate the exchange of MDG data among countries and between countries and international agencies. The event will also be an opportunity to review, with national and international experts, the necessary steps to implement the SDMX platform at the national level, including identifying key areas in which international agencies could provide technical assistance. The Regional Workshop on the latest Information Technologies in Knowledge Transfer is organized by the United Nations Statistics Division in cooperation with UNESCAP, and is hosted by the Bangladesh Bureau of Statistics. The workshop will take place from 15-18 June in Dhaka, Bangladesh. The workshop is part of the UN/DESA Development Account project for the strengthening of the statistical capacity of the countries of South Asia. One of the objectives of the project is to establish an IT network, which will aim to provide a forum for technical dialogue among countries in the region for promotion of knowledge management in the form of common platforms for data and metadata exchange and the sharing of information on methodologies and statistical analysis. Within the SAARC Secretariat context it is expected that decisions will be taken on the modalities of the common platforms, including a concept paper for the design and organization of the community website with interactive technology (electronic forum, wiki, etc). This workshop will give an overview of the latest technologies in knowledge transfer; it will discuss traditional knowledge bases and web forums, as well as usage of social networking in knowledge sharing. Data dissemination and data exchange technologies, such as SDMX, will be treated also. One of the outcomes of this Regional Workshop should relate to the practical bottlenecks at individual country level, which may prevent the community website from becoming actively used. In that regard countries will be invited to make presentation on their statistical systems and their practices in communication, data sharing and data dissemination.